This is a Zastava 750. 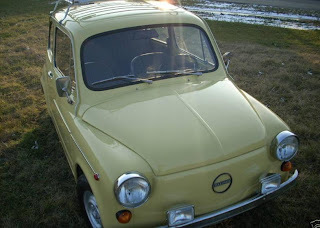 It is, essentially, a Fiat 600 produced by Zastava, the same company that gave us the Yugo. Zastava built them from 1955 through 1985. 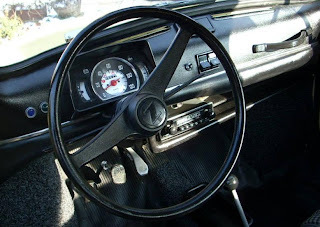 Over the course of those 30 years, Zastava built over 900,000 of these cars. 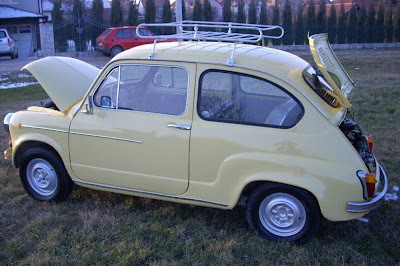 Zastava made these cars with a 600cc engine a 750cc engine and, just before ending production, an 850cc engine. I'm posting this car just as something to look at. While this would be a neat car to have in the US, I'm not so certain I'd buy this one. The seller seems like an honest, friendly guy, but he appears a bit confused as to what he has (In the title of the eBay listing the seller calls it a 1979. Later on in the ad, he states that it's a 1981. ), how to price it (he started the auction at 99¢ with no reserve) and, most importantly, how to get it out of Serbia and into the United States. Located in "Kragujevac, Serbia, Yugoslavia", click here to see the eBay listing. This car is also known as the fića or fićo. You can find more information about it here.